We usually never care about our old stuff, especially clothes, plastic bags etc. Such things usually go to scrap store in bulk and people think about earning few penny for selling such things. But, here are the interesting ways in which one can utilize their old stuff in another way. 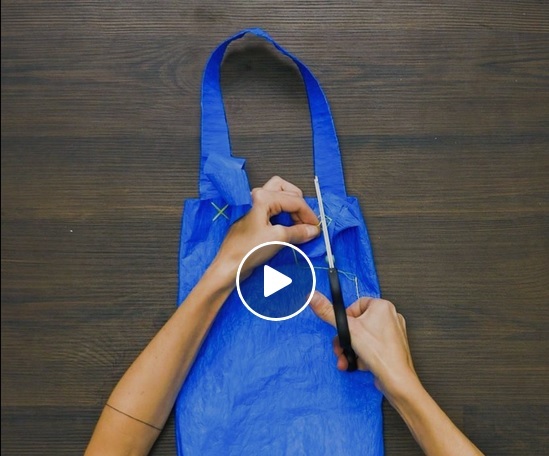 This DIY bag making video will surely guide you how to make use of your old stuff and make really useful stuff out of them. The following video shows three ways one could make bags and kits using three properties, namely; plastic bag, the old T-shirt and pillow cover respectively. They are really easy as anyone can make those bags in less than five minutes.